PNG Cancer Foundation received K10,000 from the Indian Association of PNG today. 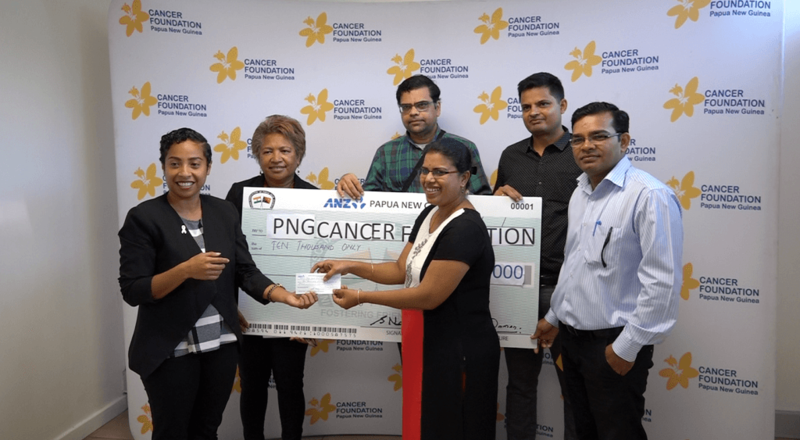 The Indian Association doubled its annual donation to help the PNG Cancer Foundation. 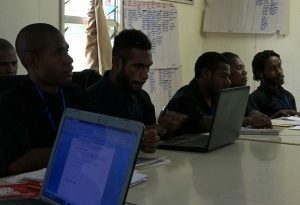 IAPNG has always been supporting the work of the foundation and this year was the first time they have increased their annual donation from initially K5,000. PNG Cancer Foundation Executive Manager, Priscillar Napoleon said the donation will go towards assisting the foundation next year in its cancer programs and campaigns. The 2019 activities will be the continuation of the annual programs with major events that include; let’s talk cancer campaign, Daffodil campaign, Pinktober- women’s cancer month, and Mausgras- men’s cancer month. IAPNG has been raising funds in the country for 38 years with its main focus on two main aspects, the Child and Maternity Health and Education. The association held an Indian Night fundraising last month from which they raised more than two-hundred thousand kina and the money raised was given back to the two sectors. Indian Association President, Mr. Pradeep Panda said it is a gesture and token of respect for them to appreciate the country for accepting them in the country. He said a lot of members in the association have been recognized in the country. Panda said PNG Cancer Foundation has been doing a wonderful job from last several years. “We all have seen in terms of creating awareness in the society, whether it is the talk for breast cancer, mouth, and cervical cancer,” Panda said. “As an association, our objective is very simple. 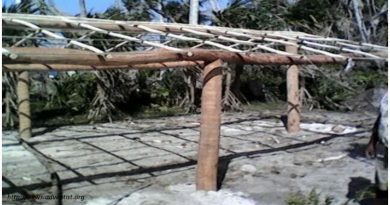 To foster relationship in PNG and we want to contribute as much as we can to the community,” he added. 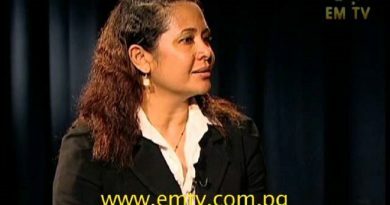 Dr. Lynda Sirigoi, the Deputy Chairperson of the PNG Cancer Foundation said any organization wishing to assist the foundation may do so for the wellbeing of the community.